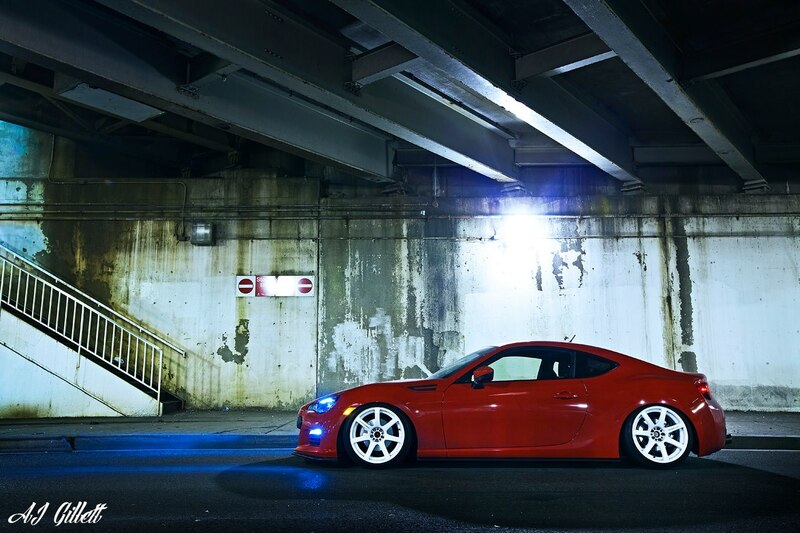 Here is an excellent shot of AJ Gillette’s BRZ sporting Hancha toe links. I’d like to personally thank AJ for allowing us to use his BRZ as our test mule. A few hiccups aside, the toe link fitment is spectacular and we have heard nothing but positive performance reviews from AJ. This entry was posted in BRZ, cfd, FR-S, GT86, suspension and tagged brz, fr-s, hancha toe links, ill roller, suspension, toe link on April 3, 2013 by jimmyrhim.